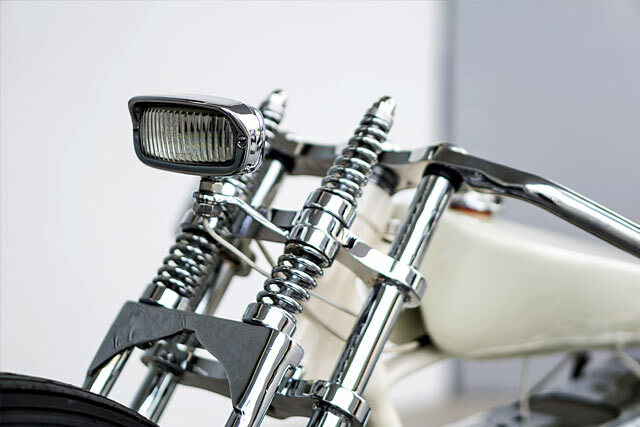 With some custom bikes, it’s easy to see where stock ends and the custom work starts. 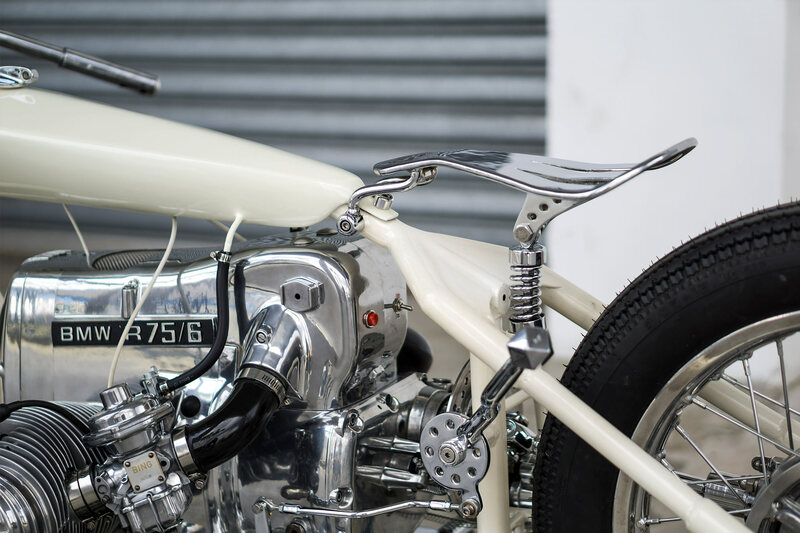 And there’s no begrudging this style of build – we love a bike that can masquerade as a factory motorcycle. But sometimes we like balls-to-the-wall insanity. 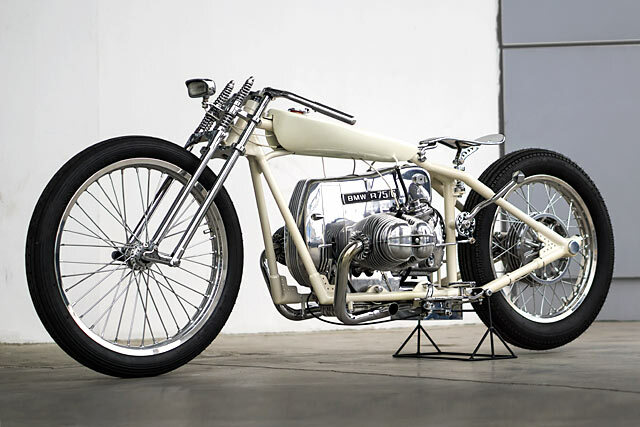 Bikes that scream bespoke parts and hundreds of man hours. 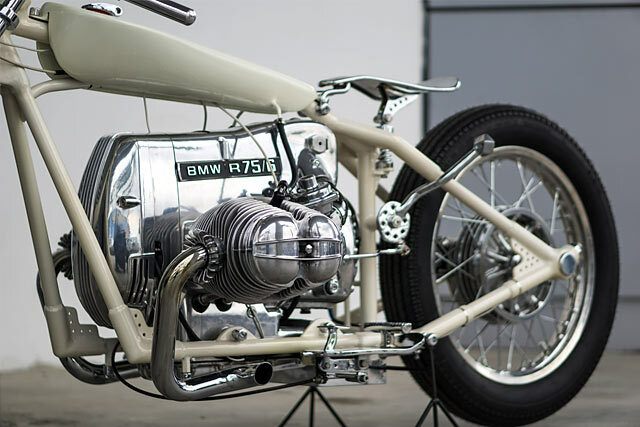 And there’s no better example than this, a blindingly good-looking 1975 BMW R75/6 produced by Malaysia’s Rusty Factory. An award-winning, retro-futuristic board tracker. Rusty Factory seem to be going from strength to strength. Last year they built a Honda CX500 to participate in the bike show for Malaysia’s huge Art of Speed build off. And they cleaned up more than an ethnic mother in a student sharehouse. The clear win opened up an opportunity to build bigger bikes. So this year the organisers asked Rusty Factory to try their best to defend their title. We’ll talk about that later. 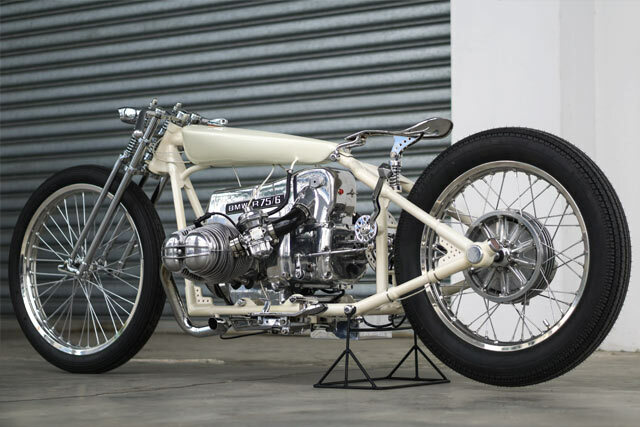 Unlike many classic bikes in Malaysia the donor 75/6 bike came to the garage it was running well and ready to ride. But Rusty Factory only wanted the engine. So they removed the power plant and pulled it apart for polishing. Hours and hours of polishing. ‘We expected we’d have some problems putting it all back,” says head of Rusty, Muhammad Khalid Musa, “but we didn’t have any issues reassembling it”. With the engine setup complete the real work started for Muhammad. He decided early on that he’d run a 21″ front and a stock 19″ rear rim and hub with a 4″ Shinko tire. To round out the stance of the build, the Rusty Factory team built a frame from scratch. It’s their first attempt at doing anything like this and, despite them quick to point out it’s not perfect, it’s damn close. To match the frame, the team also made a springer front fork. This proved to be the trickiest bit for Rusty. “To make it we had to learn more about engineering… stuff,” Muhammad recalls, “We had to consider everything. The angle, the bushing size, the spring tension, the symmetry. In the end we had to experiment a few times to get the result that we wanted. It was a headache, but it was a fun process”. For the fuel tank itself the guys deferred to a local guru, Hazuar from Big Cat Moto Art. “He’s the godfather of local custom building to us,” Muhammad says. While that was under construction, the crew started sizing up the rest of the build. 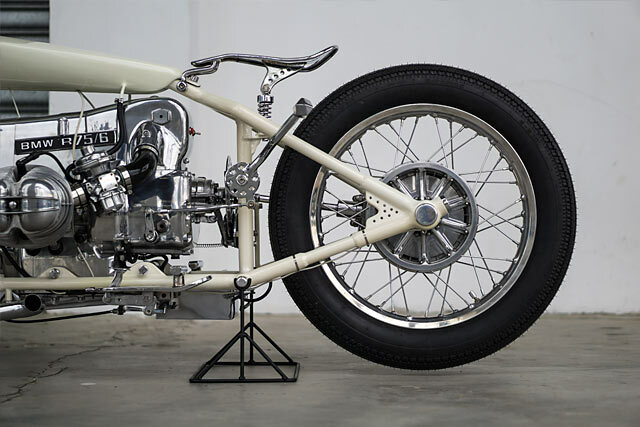 And they had something particularly novel in mind – a shaft drive brake system. 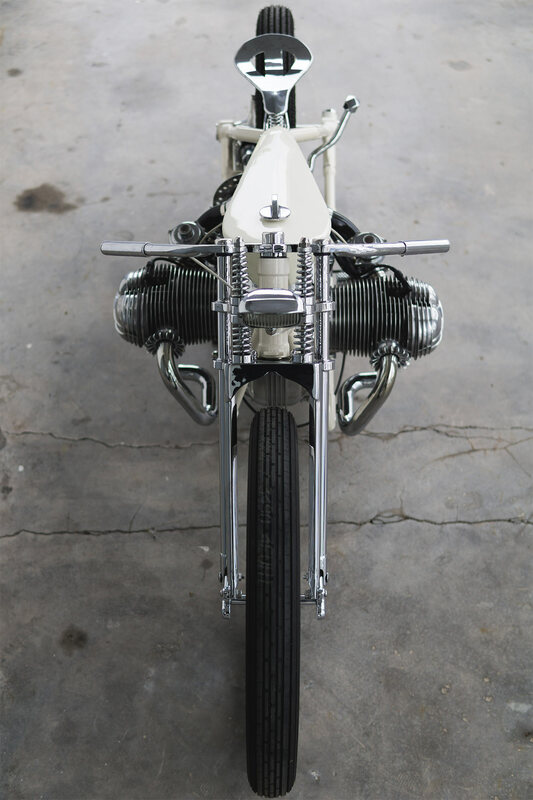 And while it’s not the most efficient way to pull a bike to halt, it’s got to be one of the best looking. We love this ride here at Pipeburn. And we’re not the only ones. At the Art of Speed show in Malaysia the team from Rusty Factory successfully defended their ‘best in show’ title with ease. 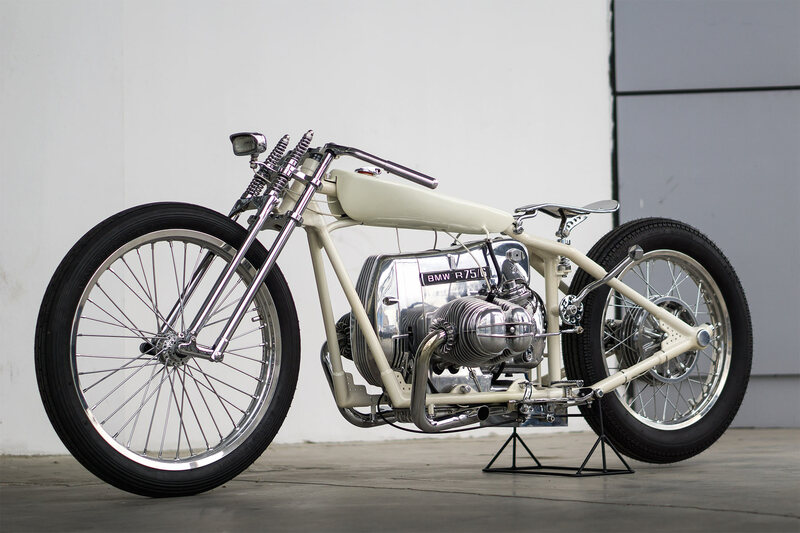 It was crowned ‘Bike Build-off Champion, it cleaned up the Public Choice Award and won five other guest pick awards. That’s a Spielberg-level sweep of the awards ceremony. 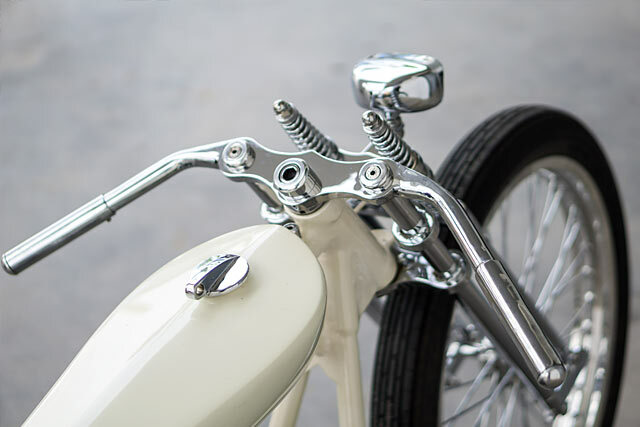 And it’s well deserved praise for a bike that’s one of the most eye-catching I’ve seen on these pages for a while. And believe me – it looks even more incredible in person. 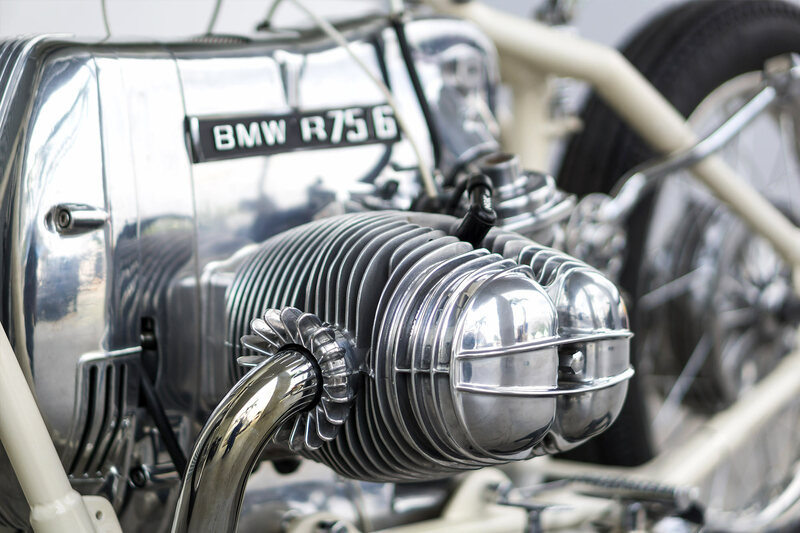 The Rusty Garage team have been looking overseas for inspiration for some time – especially the famed Maxwell Hazan. 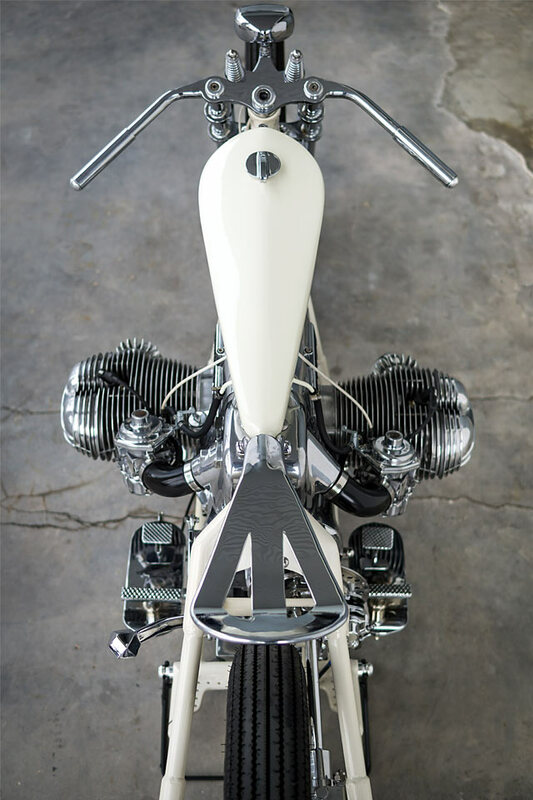 “We’ve been following his work for the last few years and fell in love with them,” Muhammad says, “Just looking at them is so appealing.” In my opinion, this latest build from Rusty Garage is right up there with the best of them.